The term ‘Google’ serves as the identifier to the numerous useful products and services the organizations provides to facilitate the users in various unique ways. Google provides over hundreds of different products that target almost all the major demographics that are. Starting from the Google Search, Google has now introduced several notable and useful tools that make your life easier in multiple ways. Success however, is by chance and not every time by hard work. 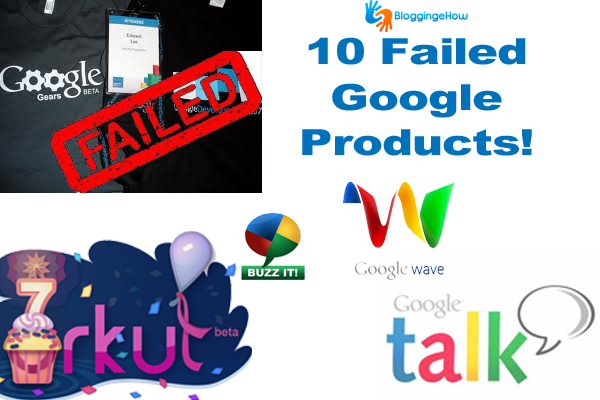 Although Google tries to provide the best it can, there still are certain products and services of theirs’ that failed miserably and they had to shut them down deliberately. Although innovative the products may be, but the likeliness of the end user is something that cannot be predicted beforehand and that is what majorly lets you down. The list compiled is about some of the products and services by Google Inc. that failed to serve their purpose and are either shut down or still awaiting this decision.